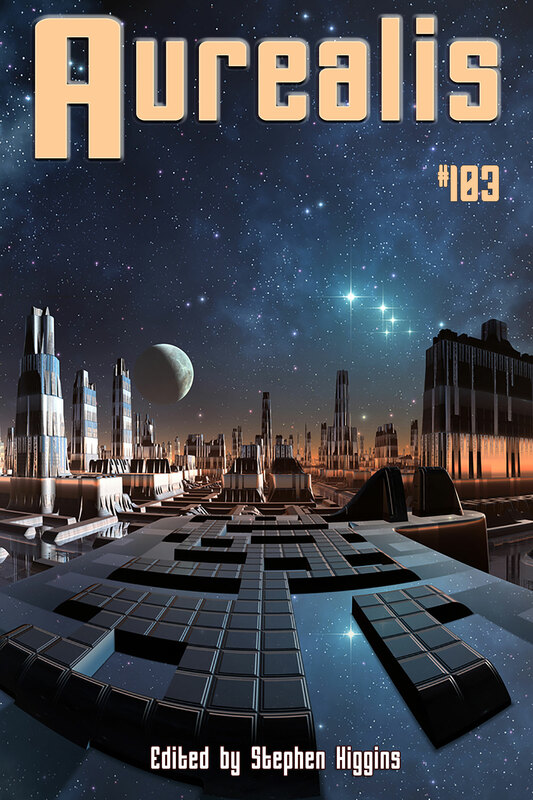 Aurealis #103 has more of the best stories from Australia and around the world. Plus there is the usual mix of reviews and news, articles and humour, and some of the best artwork that is going around. 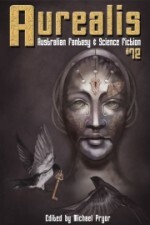 Aurealis is published ten times a year (Monthly February to November) and is Australia’s longest running continuously published speculative fiction magazine. 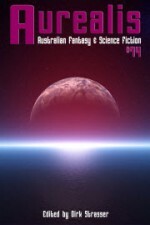 See the details on the webpage to subscribe or to submit material to Aurealis. Category: Issues. 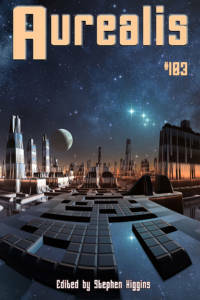 Tags: Aurealis, Aurealis #103. 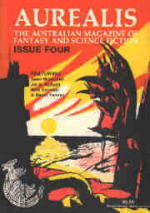 Mitchell Salmon is a writer, voracious pop-culture consumer, and tall person from Melbourne, Australia. He writes fiction that pretends to know about science, and superhero fiction that pretends to know about America. He tweets a mix of writing, politics, theology and superhero stuff as @MQSalmon. Brian C Baer is a pop culture writer from the Pacific Northwest of the United States. He is the author of one novel, Bad Publicity, which was released in 2015. His next book, How He-Man Mastered the Universe: Toy to Television to the Big Screen, will be available from McFarland Books in early 2017. Follow him on Twitter @BrianCBaer. Recently, whilst my home town was suffering through record low temperatures, I travelled to the tourist town of Broome. This is in the Kimberly region of West Australia and it enjoys winter temperatures of a reliable 29/30°C. 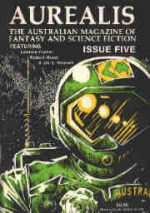 This is my third trip to the region and I’m only bringing it up in the editorial of a speculative fiction magazine because the area around Broome always reminds me of various science fiction works I’ve read. Specifically, these are the ‘Rynosseros’ and ‘Wormwood’ collections from Terry Dowling, and the works of Sean McMullen and others. The landscape is so different from the (basically) dairy areas where I live in rural Victoria that it simply evokes thoughts of alien landscapes. The red dirt, weird vegetation and ‘unseasonal’ weather all help to give the feeling that you are in a strange place. I mean boab trees alone can trigger this. They’re such fantastic plants, and I mean fantastic in the terms that speculative fiction readers would understand. I succumbed to the temptation to actually place my hands on the swollen trunk of one fine example where we were staying. And one thing led to another and I ended up hugging it. See what I mean? Even just writing about the place makes things go a bit weird. Anyway, while there I went along to an ‘Astro Tour’ conducted by Greg Quicke. Greg is the popular astronomer who appeared recently in the ABC’s stargazing show here in Australia. He’s an entertaining astro-educator and his ‘astro-tours’ held outside of Broome with the aid of a phalanx of telescopes, lasers and hot chocolate are very popular. The experience led to some lovely ‘sense of wonder’ moments for me. There I was looking at the planets and stars, in an ‘alien’ landscape, with commentary provided by Greg (Space Gandalf) Quicke. Have a look at his website www.astrotours.net for details about his tours and to find out why he’s called Space Gandalf. Interesting man and an interesting place. Those sense of wonder moments are precious to me and are, of course, usually linked to reading genre fiction, but the real-life sense of wonder moments are even more valuable. It was refreshing that the one experience led to a bit of renewed interest in the works that had been inspired by the area and I have been looking at Terry Dowling’s books again, with a renewed appreciation for the sense of place that Dowling manages to create. Whilst I was getting back into the fiction of Terry Dowling, I was delighted to see that PS Publishing is planning to release the Complete Rynosseros in deluxe hardcover and later paperback editions with tons of added extras. That’s something to look forward to and we will keep our own readers up to speed as we hear more about this important release. My neck prickled. The website slogan filling my tablet screen didn’t fill me with easy excitement like it was supposed to. It was another hot day—six in a row over 38 Celsius—and I was dreaming of Europe in winter. I was sitting on the couch with my tablet on my knees. It was synched up to the SmartHub implanted at the base of my skull, and I filled in the extensive WorldHost application process—pages upon pages of forms—at the speed of thought. Will, sitting opposite me with his tablet showing an old textbook, fanned himself half-heartedly with the tablet’s case. He glanced up and saw me looking at him. He smiled. ‘I hope it snows when we’re there,’ he said. ‘I don’t think it’s snowed in Budapest for decades,’ I said. It came shortly after dusk. We had heard a rumbling from the evening sky, had seen a smudge, dark and distant, among storm clouds. We knew there would be a tempest, and so we sheltered indoors. Its screech was an agonised cry, high and shrill, undeniably bestial. ‘What is it?’ I asked, my voice wild and demanding. No-one answered me. Instead my father found his shotgun and my brothers loaded their rifles. I snatched at my own rifle, a slim .22 with a worn stock, handed down from my brothers who had outgrown it. My father’s hand restrained me. This city can swallow you whole. The people may not spot the warning signs down there, on the street, but I can see everything from these rooftops. It’s in the way the buildings slump together, cowering in the dark, shivering against the cold night air. They can feel their place in the deathtrap. They are the rotting teeth of a massive set of jaws, jaws stretched wide from the Hudson to the East River, ready to snap shut and gulp you down. But I’m inside that mouth, too. I’m the only one here to keep those jaws open, to help you live safely… inside the mouth… and walk to your job… which is inside another tooth…? This city is bad. That’s what I meant. The city is bad, but I’m good.